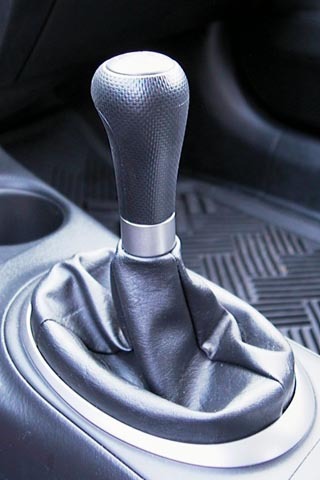 Before we begin, let’s examine this simple OEM Shift Knob. If you take a look at this picture it’ll help you understand how it’s kept on. 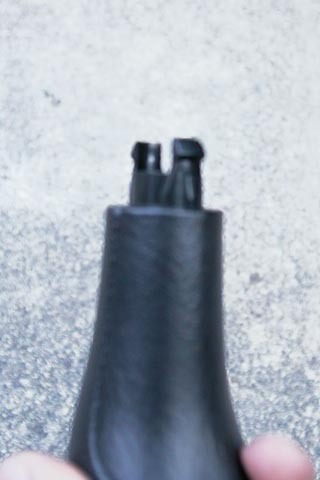 Notice that it has two notches one on each side of the shift knob — This is what keeps the shift boot on the knob. Ok this is the normal OEM shift knob as you SHOULD see it in your car. If you compare this pic to the previous you’ll notice that the silver ring around the shift boot goes over those two notches we saw above! Place your fingers on your shift boot around the silver ring as you see in the picture. In order to make this simple and effortless place your thumb on the ring overtop one of the nothces, and your index finger over the notch on the opposite side. Just give it a slight push with your thumb towards your index finger and it should pop off one of the notches, then swing it back over towards your thumb by pushing down with your index finger. 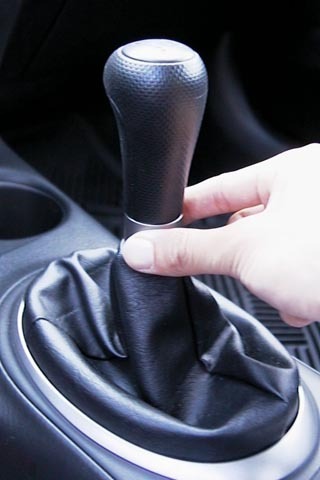 *POP* there you go…now you’re all set, the silver ring should no longer be attached to the shift knob. 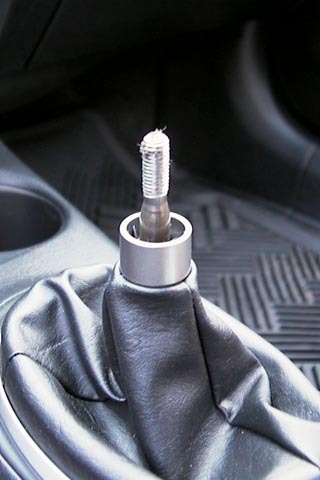 All you have to do now push down the shift boot so it’s out of your way while you unscrew the shift knob. Just turn it counter-clock wise until it pops off. Here’s what it looks like without the shift knob. 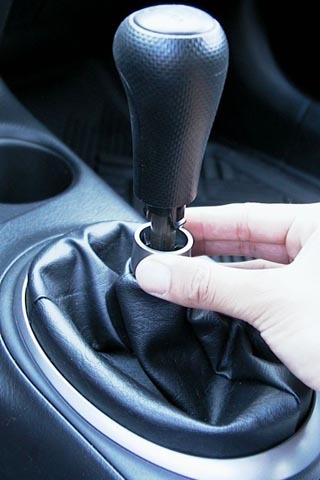 With your new shift knob, just reverse the process. You’re currently reading “Remove The Shift Knob,” an entry on Ghosty’s 2K1 Honda Civic Coupe.